The forthcoming Eurostat visit is ‘routine’, according to the CSO. 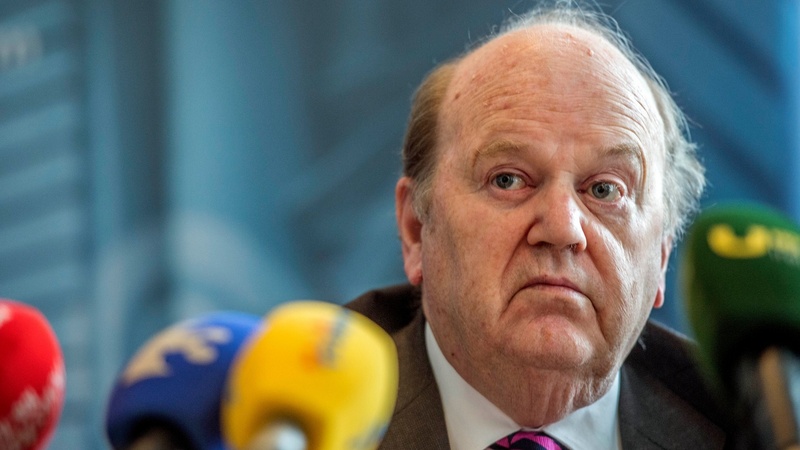 The Central Statistics Office said it has held “intensive discussions” with the EU’s statistics agency on the recent sharp revision of Ireland’s economic growth last year to 26%. “Eurostat has held intensive discussions with the CSO on the changes to our National Accounts and Balance of Payments statistics, driven by the location of capital assets in Ireland and accepts the recent [gross domestic product] revisions,” Jennifer Banim, assistant director general with the CSO, said. A planned mission by Eurostat staff to Ireland next month reported last Thursday on receipt of records released under the Freedom of Information Act, amounts to “final verification” of the data. Eurostat said in the internal document, circulated to Irish officials last month, that the initial explanations provided by Ireland for the surprising data “look plausible”. “The forthcoming Eurostat visit is part of an ongoing routine process of verification of GDP and GNI (gross national income) figures for all states,” Ms Banim said. 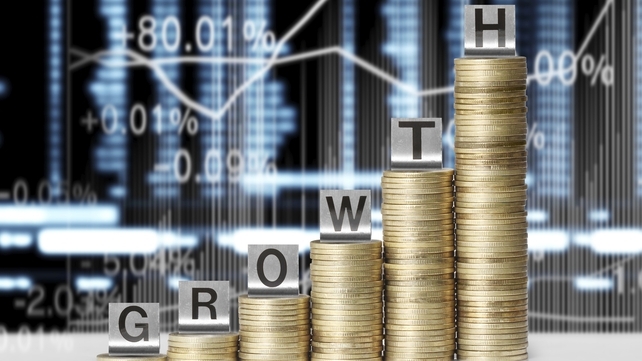 The GDP revision on July 12th has prompted widespread criticism among economists about the relevance of the data, which has skewed various widely-followed gauges, including Government debt relative to the economy’s size. Moody’s, one of the world’s main credit ratings agencies, said at the time that the country’s highly volatile economic performance is one of its main concerns about the country’s creditworthiness. The surge, including the impact of US companies merging with Irish firms to gain a tax benefit, contract manufacturing and aircraft leasing activity, served to push Ireland’s debt level below 80% of GDP compared to previous estimates of 94%. 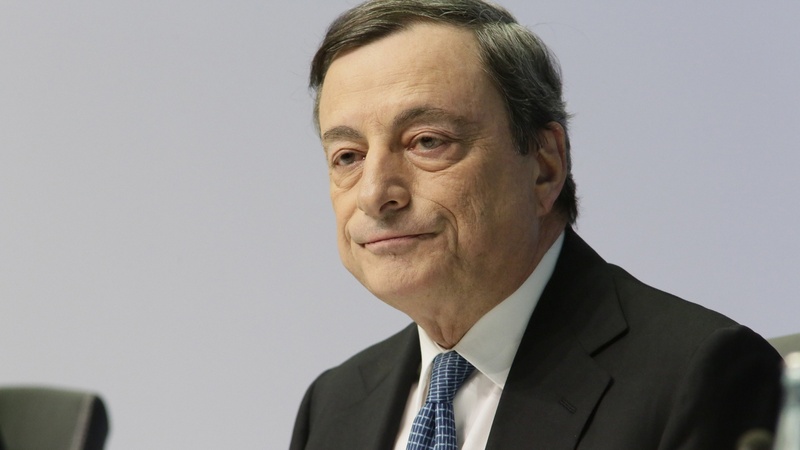 While the CSO calculated GDP along Eurostat criteria, Nobel Prize-winning economist Paul Krugman famously said last month the Irish figures were best summed up as “leprechaun economics”. 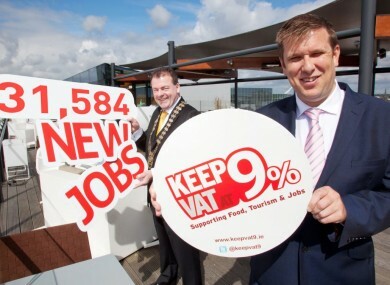 The Restaurants Association of Ireland is claiming the creation of 45,260 new jobs in the hospitality and food sector since 2011 is largely due to a reduced Vat rate for the sector. A report by economist Jim Power, which the association commissioned, looked at direct and indirect jobs created and an estimate of the social welfare savings, as well as the increase in revenue for the exchequer. Using statistics from the Central Statistics Office, it concluded the number of people directly employed in the accommodation and food services sector was 145,900 in the first quarter of this year which was 31,000 more than in the second quarter of 2011. The report argued if the “multiplier effect” was applied to the total number of employees, the number of indirect jobs increased by 14,260. The association said the total contribution to the exchequer through payroll taxes from the sector is €695m. Adrian Cummins, the association’s chief executive, said: “Our report highlights that the introduction of the low Vat rate in July 2011 has been a major driver of local employment growth. He added: “45,260 new jobs have been created in the food and accommodation sector across the whole country since this initiative has been introduced. 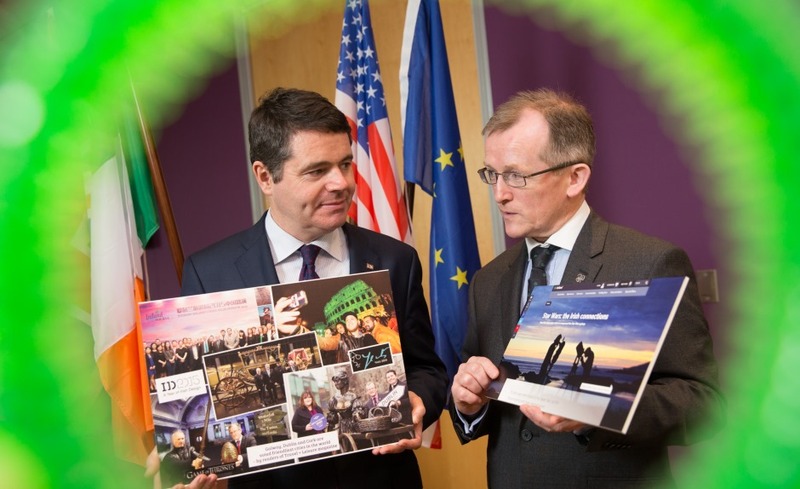 The association also pointed out that on a national scale, tourism has also increased every year since the new Vat rate was introduced, with overall visits to Ireland rising by almost 30% since July 2011. “There is further good news for Ireland’s tourism sector regarding Ireland’s Value for Money (VFM) rating as the number of visitors rating Ireland ‘good’ or ‘very good’ VFM has increased from 28% to 58% from 2009 to 2015 and the number of visitors rating Ireland ‘very poor’ or ‘poor’ for VFM has fallen sharply from 40% in 2009 to 8% in 2015,” it said. Last year, Siptu criticised the failure of Minister for Finance Michael Noonan, in Budget 2016, to end the 9% Vat rate for the hotel and restaurant sector. It said retention of the Vat break came at a time when the tourism and hospitality sector was experiencing steady growth and increased revenues, but said employers in the hospitality sector were continuing to veto the Joint Labour Committee (JLC) process for agreeing statutory minimum wages and conditions for workers in the sector. 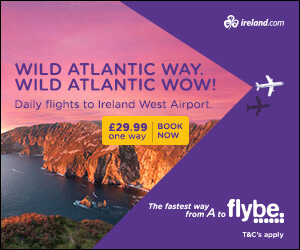 Tourism Ireland has teamed up with Flybe and Ireland West Airport Knock to promote flights to Knock from Manchester, Birmingham and Edinburgh and grow tourist numbers to the West of Ireland this autumn. The joint campaign will run in Britain during August and September. Working with airlines and airports to build demand for flights is a key priority for Tourism Ireland and this campaign includes an online article in the Daily Record in Scotland, and an online article in the Birmingham Mail and the Manchester Evening News. A welcome and positive development in the best interest of children: that’s the Children’s Rights Alliance response to Ireland’s agreement on inter-country adoption with the Philippines. Chief executive Tanya Ward said the importance of adoption agreements, such as the process signed in Dublin yesterday between Ireland and the Philippines, could not be overstated. “Given the sums of money involved, inter-country adoption can encourage malpractice and corruption, with children and prospective adoptive parents at risk of being exploited for financial gain,” she said. The Children’s Rights Alliance represents a group of organisations working to ensure the rights of all children and young people in Ireland are respected. Ms Ward said Ireland and the Philippines had ratified the 1993 Hague Convention on Protection of Children and Co-operation in Respect of Inter-country Adoption and it clearly outlined how the adoption process would operate between the countries. Minister for Children and Youth Affairs, Dr Katherine Zappone said the convention provided an assurance for children, their families and the state that appropriate procedures had been followed and that the adoption was in the best interests of the child. “My aim is to have safe and secure adoptions. It is against this background that my department is working to create the appropriate legislation, policy and administrative frameworks which will ensure a well-regulated regime of adoption,” said Ms Zappone. She believed the agreement between the Adoption Authority of Ireland and the Philippines Inter-country Adoption Board would provide a clear road map on how the inter-country adoption process would operate between Ireland and the Philippines. The agreement on administrative arrangements between the two countries was drafted by the chair of the Adoption Authority of Ireland, Dr Geoffrey Shannon, who said it reflected the legal diversity and common goals of the contracting states. There have been 10 children adopted from the Philippines since the establishment of the Adoption Authority in 2010. The administrative agreement between Ireland and the Philippines is the third to be concluded by the authority. In 2012, an administrative arrangement was reached between Ireland and Vietnam and that was followed by one between Ireland and the US in 2013. Speaking on RTÉ radio, Dr Shannon, said the central authority in the sending country, in this case the Philippines, would consider what set of parents best met the needs of the child being adopted. “So you have the professional matching of a child with suitable adoptive parents,” he said. There were 82 inter-country adoptions to Ireland last year. Families here have adopted children from Bulgaria, China, Thailand, India, Poland, and Lithuania. 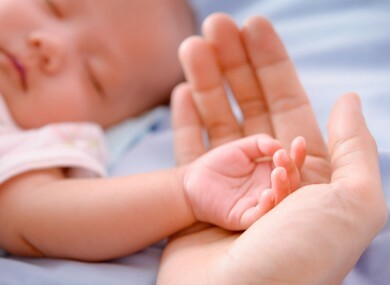 Inter-country adoptions can take place between countries that have ratified the Hague Convention or with which Ireland has a bilateral agreement. Otzi the Iceman, a mummy found in 1991 on a glacier in the Tyrolean Alps, was clothed in a bearskin cap, goatskin leggings, sheepskin coat, cow skin shoes and a deerskin quiver when he was killed in an attack about 5,300 years ago, new research shows. Researchers had previously thought that at least the leggings or pants consisted of some type of fox, dog or wolf. New DNA analysis shows that instead they were made of goatskin from a species of goat that still inhabits the Alps today, according to an article on National Geographic. The researchers in the new study also examined his quiver. An article on Smithsonian.com says the Iceman’s shoes were fashioned from the leather of cattle, possibly because it is tough material. His coat, which had white and black stripes, was made with sheepskin for warmth. His quiver was made of deerskin and his hat of bearskin. Researchers discovered that Ötzi’s leather hide coat and loincloth were made of sheepskin, which has been known from previous studies. New analysis shows that instead of being one wild sheep, the coat and cloth were crafted from four individual wild sheep. A similar pair of goat leather leggings may indicate that the skin of goats was used in clothing for some specific quality, National Geographic says. That pair of leggings is about 4,500 years old and was discovered in Switzerland. The researchers, who published their findings in Scientific Reports, based their analysis on ancient DNA markers in nine leather pieces from among Ötzi’s attire. 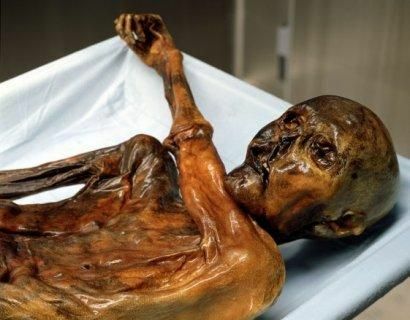 The Tyrolean Iceman, a 5,300-year-old (Copper Age) natural mummy, discovered in the Italian Ötztal Alps in 1991 provides a direct archaeological link to prehistoric Europe. Two decades of analysis concerning this individual have provided insights into ancestry, diet, tools, lifestyle, health and attire. Despite multiple studies and their relatively good preservation, ambiguity still persists as to the species of origin for the majority of the Iceman’s clothes. A more complete characterisation of his garments is therefore required, if we are to maximise the information provided by these artefacts and gain further insights into the choice of raw material from which Copper Age populations manufactured their clothes. 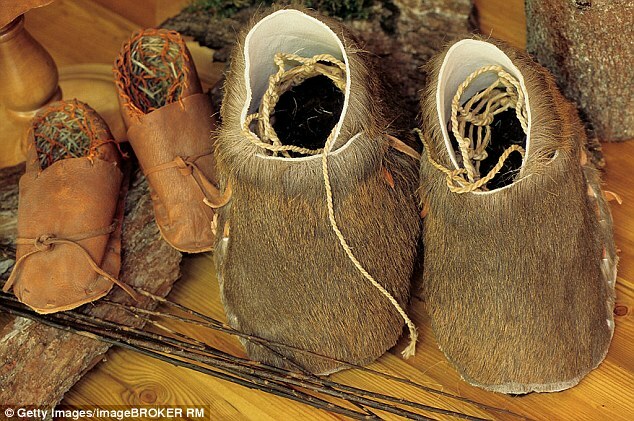 The article states that ancient, preserved leathers give valuable information about how people used secondary products of animals. 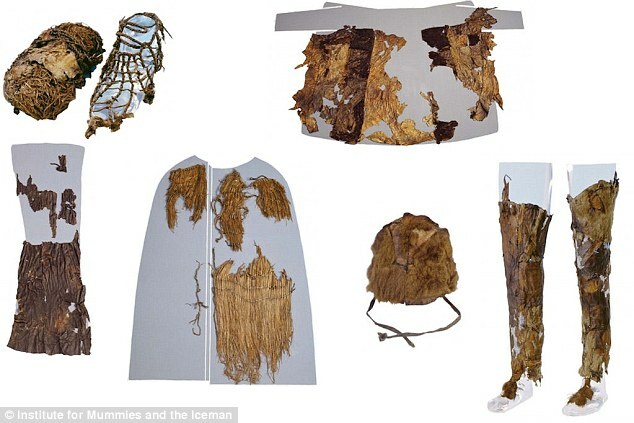 It says until recently, the material of Ötzi’s clothing was so decomposed that biomolecular research on it has been thwarted in part because structural features of the leather and fur needed to identify them with a microscope are missing or damaged. So the researchers used genetic and DNA analysis to better ascertain what animal skins comprised the clothing. Research has shown Ötzi was what the authors call an agro-pastoralist (farmer-livestock herder), but his quiver and hat show that he also may have been a trapper and hunter of wild animals. In May 2015, Ancient Origins reported Ötzi was a victim of homicide. Researchers say he suffered a quick, violent death that was over quickly but may not have been painless, National Geographic reports . He had an arrow wound, but his death probably came from a blow to the back of his head. The new study on the DNA of the animals his clothes were made from is the latest of many years of post-mortem studies on Ötzi’s body and artifacts. Scientists in June 2014 decoded Ötzi’s genome from a hip bone sample. However the tiny sample weighing no more than 0.1 g provides so much more information. A team of scientists from EURAC in Bolzano/Bozen together with colleagues from the University of Vienna successfully analyzed the DNA of unicellular organisms in the sample. They found evidence for the presence of Treponema denticola , an opportunistic pathogen involved in the development of periodontal disease. Thus, by just looking at the DNA, the researchers could support a CT-based diagnosis made last year which indicated that the Iceman suffered from periodontitis.